Experience matters. 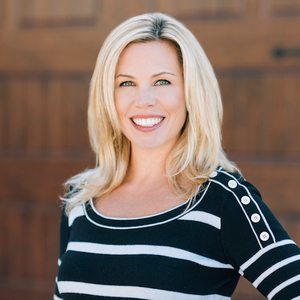 With over 15 years in the real estate business and a long family history in real estate, Marisa has the knowledge and experience to bring her clients success. Since joining the field of real estate in 2001, Marisa has earned renown as a proficient marketer and sales agent for distinctive properties all over Chicagoland. She encompasses insightful local knowledge, expertise in luxury property, and a dedication to high-quality service for every client. Marisa has an extensive client base featuring those who seek the luxury lifestyle and proficient investors. Working with investors to help monetize their investments to the fullest potential has been a focus and passion for Marisa. Investing in real estate can be very profitable if you work with the right agent and Marisa has a system to streamline the process. While she loves the ventures and challenges of transactions that will generate a high return, Marisa prides herself in her honesty, reliability, knowledge, innovation and passion for sales. Her loyal clientele work with her, in part, due to her unparalleled customer relation coupled with innovative and visionary concepts to get the best price for any property. While she maintains an expansive network of fellow agents and industry experts including the best lenders, title companies and attorneys, Marisa has also partnered with an experienced team to provide the highest quality of service to her clients. Aside from real estate, Marisa is equally committed to giving back. She has been involved in numerous community projects and volunteering and fundraising programs. During football season, you will likely find her with her family, cheering for her alma matter. Go Illini!